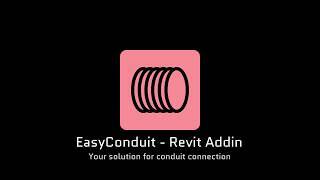 EasyConduit is a plugin for Autodesk® Revit® MEP, this tool facilitates the creation of conduits between families that have conduit connectors. A single command can connect several elements, creating conduits that interconnect the selected elements. This is a trial version with a 30 days free use period. Vai haver uma atualização para o Revit 2019?